Sustainable development is really just a disguised Marxism, with its top down control of economic decisions, violation of private property rights and emphasis on Social Justice, a term, incidentally, coined by non- other than Karl Marx (so what was your first clue?). 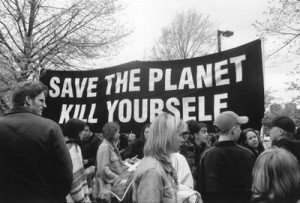 We’ve been saying it for years – sustainable development is really just a disguised Marxism, with its top down control of economic decisions, violation of private property rights and emphasis on Social Justice, a term, incidentally, coined by non- other than Karl Marx (so what was your first clue?). Well, as Agenda 21 has been enforced in more and more policy, the perpetrators have grown more and more bold in openly revealing the truth – it really is a not-so disguised Marxism after all. But, of course, I’m just the lunatic fringe. So, let them tell you in their own words. 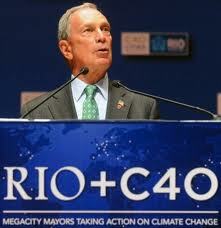 We call for “Zero Economic Growth.” Speaker at the UN’s Rio+20 Summit, June, 2012. So, Marxism is all the rage in the international circles, but local proponents, planning groups, planning departments and elected officials deny any such connections to their planning programs. Is there one? Let’s let an avowed Marxist author Ted Trainer explain how and why to impose the local process as he described it in his book, “Transition to a Sustainable and Just World.” See if you don’t recognize some of your community’s local planning programs. The global economy is massively unjust. It delivers most of the world’s resources to the few in rich countries, and gears Third World productive capacity to rich world super-markets, not to meeting the needs of the world’s poor billions. Rich countries must move down to living on their fair share of global wealth. Local planning is based on this theory – YOU MUST LIVE ON LESS. These faults cannot be fixed within or by a society driven by growth, market forces, production for profit, or affluence. These are the causes of the global sustainability and justice problems. Consumer society cannot be reformed to make it sustainable or just; it must be largely replaced by a society with fundamentally different structures. Local planning focuses on curtailing energy and natural resource and land use. The alternative has to be THE SIMPLER WAY, a society based on non-affluent lifestyles within mostly small and highly self-sufficient local economies under local participatory control and not driven by market forces or the profit motive, and with no economic growth. (sound familiar – Rio +20) There must be an enormous cultural change, away from competitive, individualistic acquisitiveness. Local self-sufficiency initiatives such as community gardens and Permaculture must be informed by the awareness that reforms to consumer-capitalist society cannot achieve a sustainable and just society. Nothing of lasting significance will be achieved unless it is clearly understood that our efforts in these local initiatives are the first steps to the eventual replacement of the present society by one which is not driven by market forces, profit, competition, growth or affluence. This awareness is far from sufficiently evident in present green initiatives. The most important contribution activists can make is to join community gardens, Transition Towns movements etc. in order to help to develop this wider and radical global vision within participants. THIS IS WHAT YOUR LOCAL PLANNNERS AND DEVELOPMENT PLAN S ARE DESIGNED TO DO. THIS IS THE DIRECT CONNECTION BETWEEN INTERNATIONAL MARXISM AND YOUR LOCAL GOVERNMENT PLANS! Ted Trainer’s book, “Transition to a Sustainable and Just World,” is the blueprint for establishing Marxist principles into your local community. No Warming for 15 years! Ice Age Coming! Agenda 21 and Obama’s Rural Council?